That aside, I really love how this series came out! 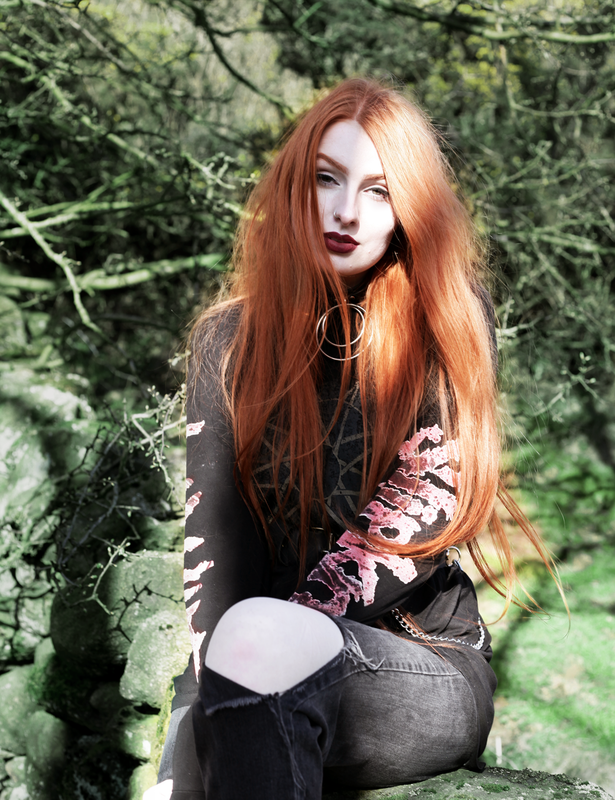 It shows quite a few of my favourites across nature, dark clothes, heavy accessories and Slipknot (unfortunately no cats or food pictured). It was lovely to have a different backdrop for my images, especially as middle-of-nowhere countryside is one of my favourite locations. This outfit was born out of wanting to keep it comfy & easy to move around while wandering through the countryside, but keeping it a little more ‘me’. I always find accessories the easiest way to do this. So while the majority of my clothes were baggy and easy to move in, I cinched the waist in with a chain-adorned belt so change the silhouette a touch! Next Post Hello 2018 – Let’s Do This! When you do your shoots in London, do you ever get self conscious if there are people around? Or do you shoot in private locations? I want to go to my local park to shoot but I’ve never done that before and I’m a little nervous ? I love how you gave this slouchy top shape with the belt. Such an all around dreamy look! I missed the fresh air of the country-side so much when I was living in London! As you said though, it’s such an amazing place. I think we all just need to get out and get some fresh air for both our lungs and our minds every once in a while. These pictures are lovely and it does look like such a gorgeous place!